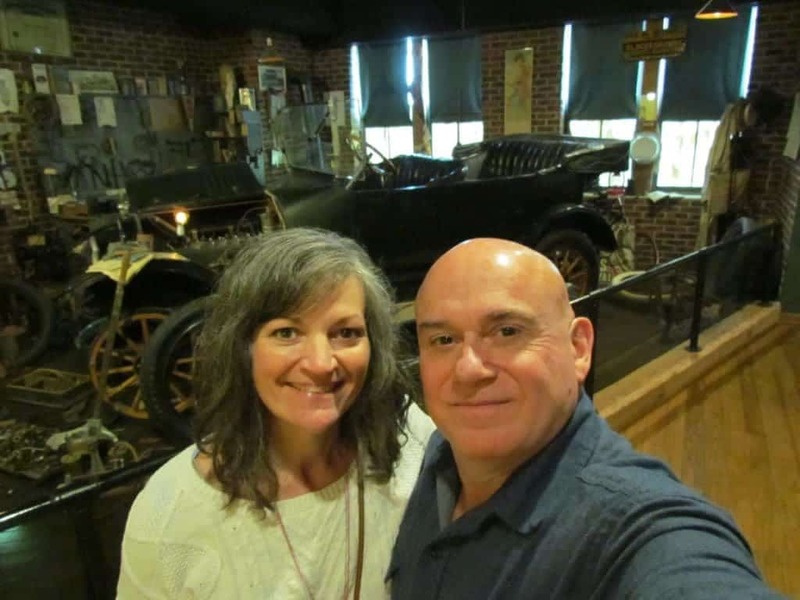 One of our first stops in Wichita, was the Sedgwick Historical Museum. We know that a good way to get a quick understanding of a city you are visiting, is by making a trip to the local historical museum. Our arrival was on a bad weather day, so it made for a perfect indoor treat. 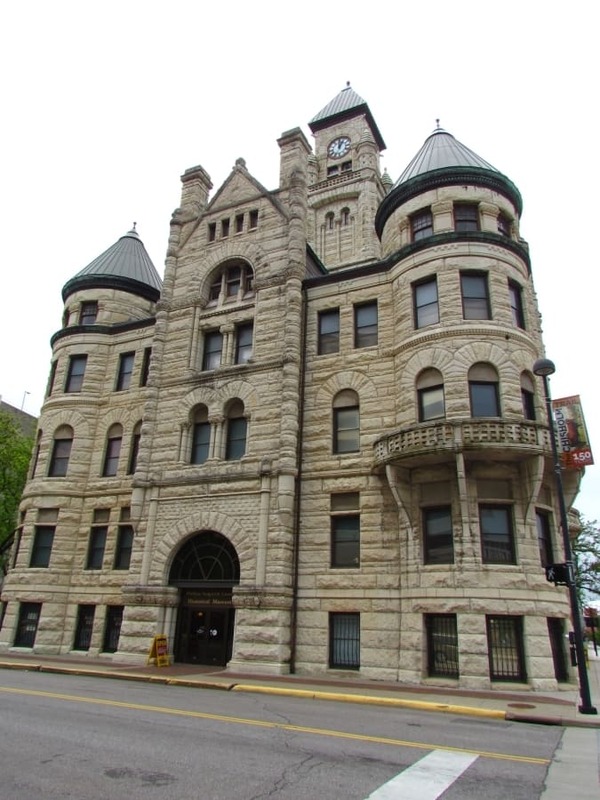 The Sedgwick Historical Museum is housed in a magnificent City Building, which was constructed in 1892. Formerly the old City Hall, the building had a questionable future when the new City Hall was opened in 1975. After major renovations, the museum opened in its newly refurbished location in 1981. The location in downtown Wichita, made it a perfect fit for our visit, as we traveled from lunch at TJ’s Burger House towards our stay at Hotel in Old Town. With full bellies from our substantial lunch, we were looking forward to walking some of it off. After paying the $5.00 each for admission (children are $2.00 each), we headed up to the second floor. Here we viewed a replica of a typical corner drugstore from the early 20th century. 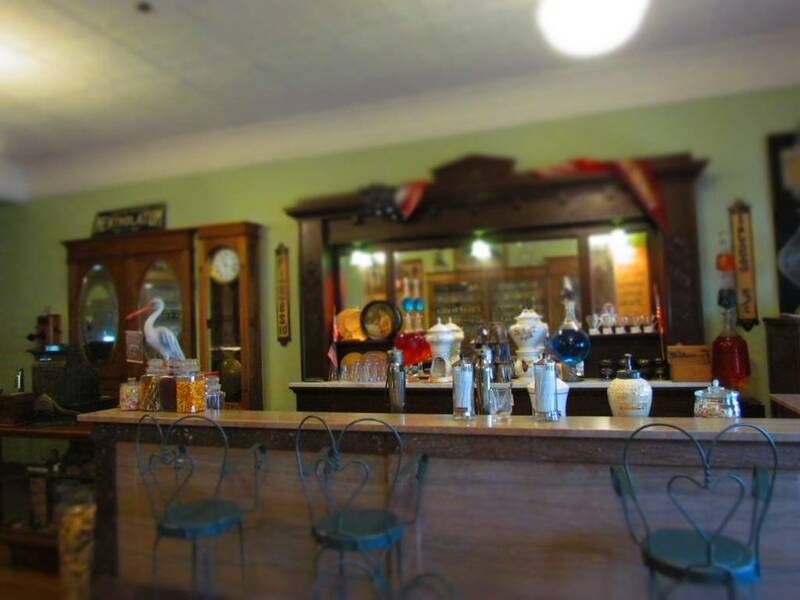 It included a soda fountain (pictured at top of article) much like the ones found all across the Midwest in those days. This floor also contained an assortment of children’s toys, as well as a lot of silver-plated tea services. Much of this wasn’t going to teach us about Wichita specifically, so we gave it a cursory examination, and then moved up to the third floor. On this floor we began learning about life in Wichita specifically. 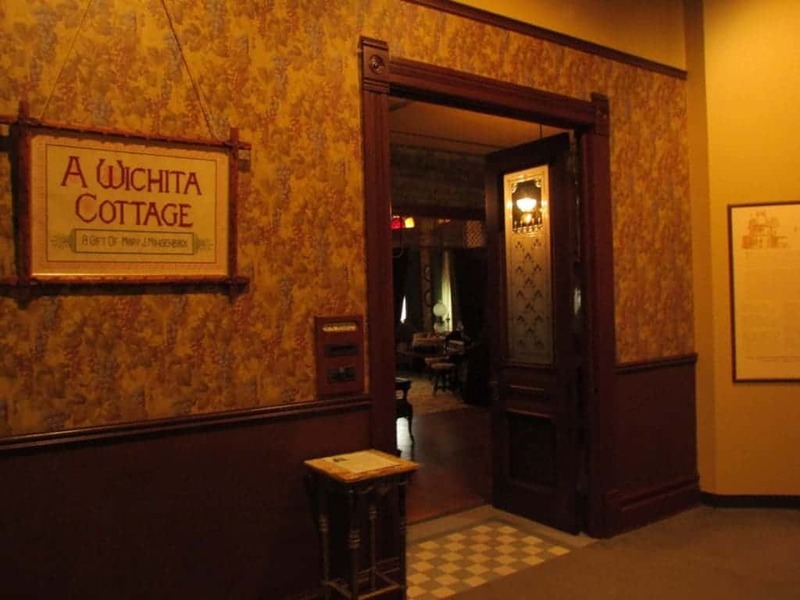 One of the first exhibits we encountered was “A Wichita Cottage”. This was a set up as a replica of a typical Victorian period house. 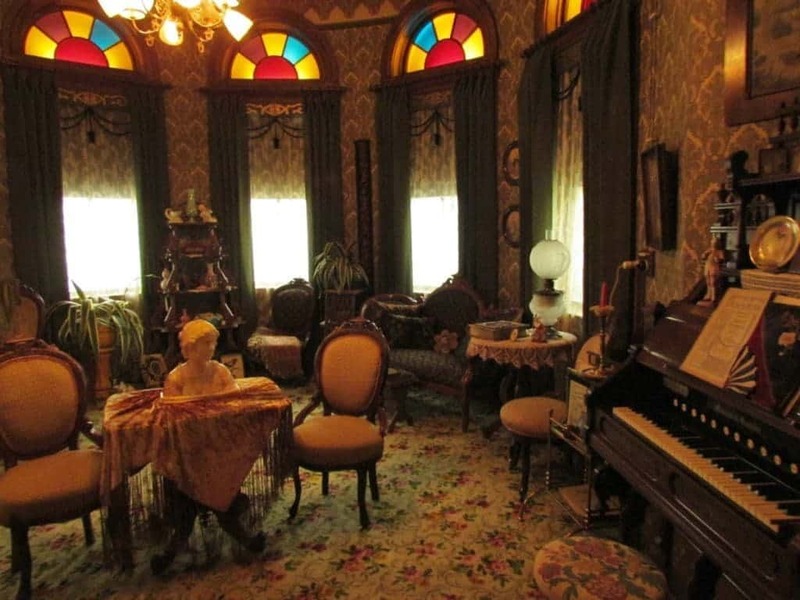 Set around 1890, the rooms showcase the ornate furnishings that would have been found around that time period. It also happens to be the timeframe that many “modern” conveniences were beginning to appear. In one room we saw a wooden icebox, while the parlor had a mix of electric and gas lighting. It puts all of our comforts in perspective. The third floor is also home to a chronological walk through the first 50 years of the city’s history. We found many of the displays were helpful in teaching us about Wichita’s role as the end of the Chisholm Trail. in fact, Jesse Chisholm established a trading post in what would be Wichita in the 1860’s. Here many cattle drives deposited the merchandise from Oklahoma and Texas into the western side of the growing city. From Wichita, the cattle were sent to large cities to the North and East. Many would head to the stockyards in Kansas City and Chicago for processing. At the Sedgwick Historical Museum, we learned about the creation of two cities separated by the Arkansas River. 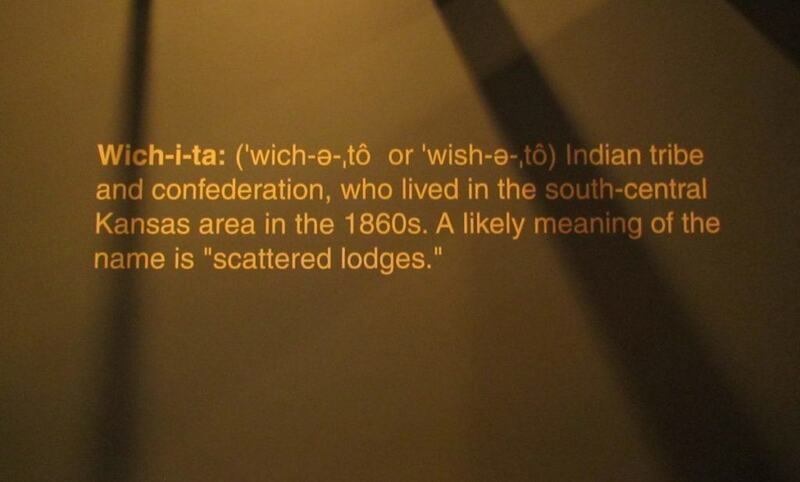 The eastern city was home to the “prim and proper” folk of Wichita. This side kept the rowdies in check by employing various lawmen, including the now famous Wyatt Earp. The western city was called Delano, and was where the “rough and rowdy” crowd were found. It was a village of saloons and brothels set up to service the cowboys, and had a reputation for lawlessness. In 1880, Wichita annexed Delano, and became the third largest city in the state. The lawlessness was brought into check, and it allowed for the future growth of the city. We moved up to the fourth, and final floor of the Sedgwick Historical Museum. This area displays the more modern history of the city from 1900 to present. In the 1914, oil was discovered in and around Butler County. Wichita soon became the home of twelve refineries and many retail outlets. 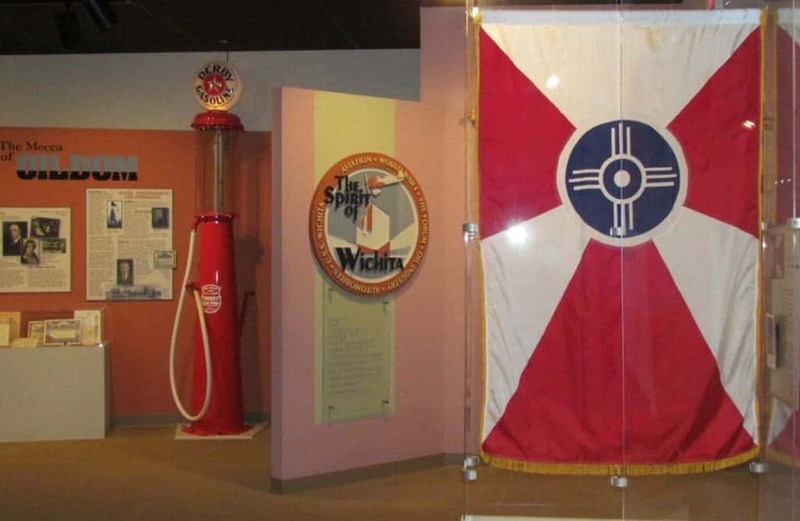 Derby and Vickers were two names that became synonymous with oil in the Wichita area. The boom was short-lived, and by the end of the 1930, only three refineries remained. Many are well aware of the importance of Wichita to the aircraft industry. It would be fair to say that the city and this industry grew side-by-side. The museum has an impressive display of artifacts form the early days of aviation, as the city grew to be known as the “Air Capitol of the World”. Cessna, Boeing and Beechcraft are three of the more well-known manufacturers to call Wichita home. Many flight suits are on display, as well as information about other aspects of the aviation industry. In this area we also found a display on the USS Wichita, which was a heavy cruiser built in the 1930’s. It saw action in World war 2, in both the European and Asian theaters. Moving across the hall, we found the display on “100 Years of Furniture 1860-1960”. The exhibit ties itself to the first century of Wichita’s history, and features some interesting pieces. The western set pictured above really caught my interest. 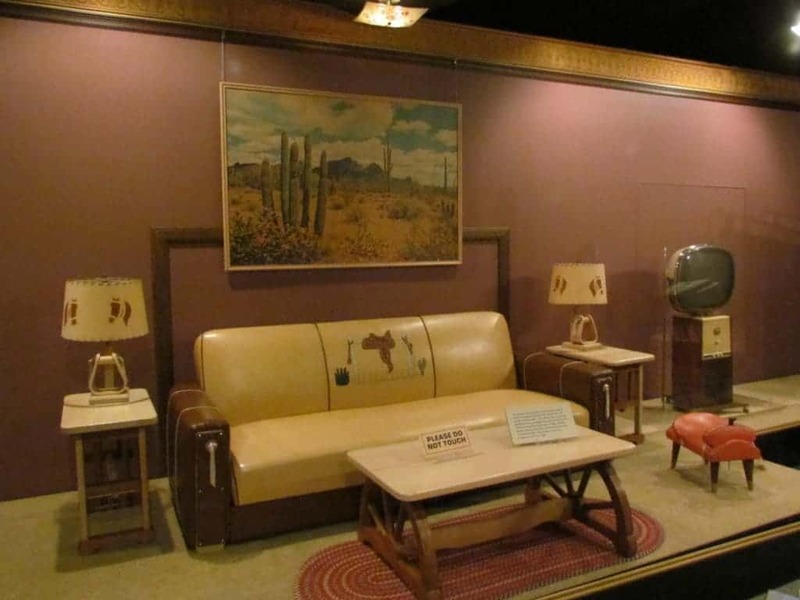 I can almost picture a 1950’s era family at home watching Howdy-Doody or the evening news, while gathered on this iconic furniture set. It just doesn’t get much more American than this. Does anyone remember having a set of this furniture growing up? 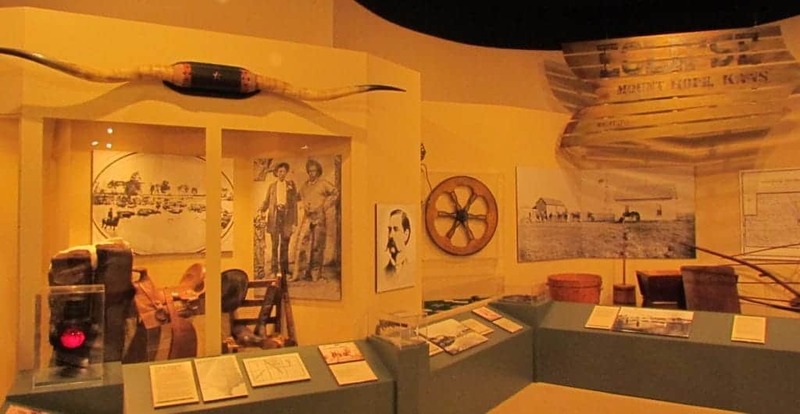 One of the most remarkable portions of the Sedgwick Historical Museum is the area displaying notable Wichita residents and visitors. 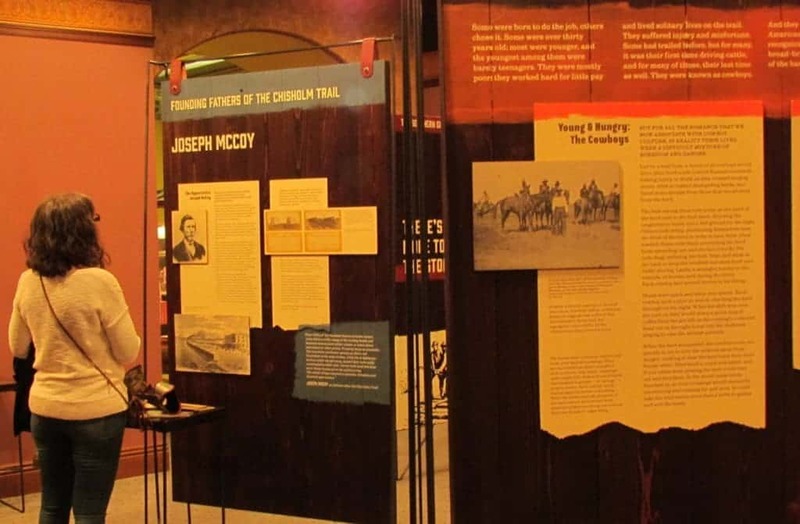 In the early days, Wyatt Earp wasn’t the only famous western character tied to Wichita’s history. Catherine McCarty, the lone woman to sign the city’s original charter, was the mother of a teenage son, who after leaving Wichita would gain the nickname of Billy the Kid. 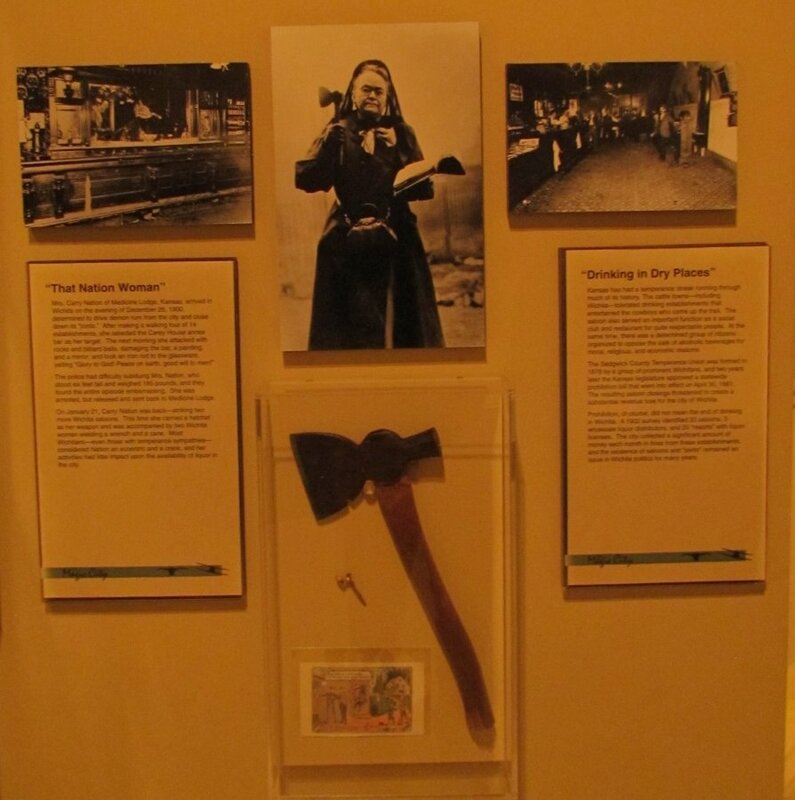 In 1900, Carrie Nation visited Wichita for the purpose of shutting down the saloons. On December 27th of that year, she destroyed the interior of the Carey House in the downtown area. Crystal found a display on Joseph McCoy to be quite captivating. Maybe it has something to do with McCoy being her maiden name. Whatever the reason, this area of the museum was quite entertaining, as well as educational. 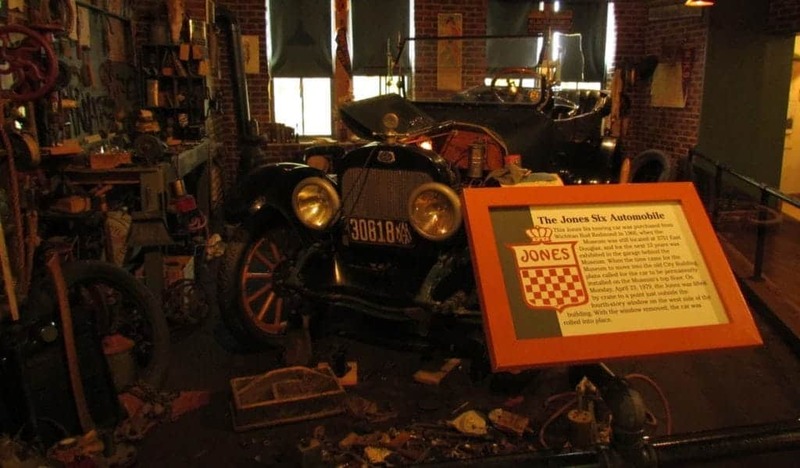 One of my favorite displays is the Jones VI automobile, which is exhibited in an early days garage setting. John Jones, a Wichita Ford dealer, believed he could produce a better car than Henry Ford. He created the Jones Motor Car Company, and started production in 1914. His vehicles sold well, with peak production of over 1000 autos in 1918. A large fire destroyed half of his factory in 1920, and led to the eventual demise of the company. It was amazing to me that they were able to maintain one of these classic vehicles, since they purchased it in 1966 from a Wichita resident. We finished our visit on this high note, and headed back downstairs. It was time for us to make our way toward our hotel, but we did it with a basic understanding of the history of Wichita. We now felt ready to start our exploration of the largest city in the State of Kansas.